Aleksander Ceferin completed his meteoric rise through the footballing ranks on Wednesday when the Slovenian was elected president of European football’s governing body UEFA. The 48-year-old lawyer, who has been the head of the Slovenian FA since 2011, beat the only other candidate Michael van Praag 42-13 in the poll. Van Praag, 68, has headed the Dutch FA since 2008 and is also a Uefa vice-president. UEFA General Secretary Theodore Theodoridis hopes Ceferin’s election will help bring stability to the organisation, which has taken a massive hit to its credibility following allegations of corruption linked to the FIFA scandal. In addition to Ceferin’s promotion to European football’s top job, Evelina Christillin was elected uncontested as UEFA’s female representative on the FIFA Council. Ceferin succeeds Michel Platini, who was banned last year for an ethics breach over a “disloyal payment” made to him in 2011 by then Fifa president Sepp Blatter for work done nine years earlier. Platini was allowed by FIFA to address the Extraordinary Uefa Congress and he used the occasion to maintain his innocence. As Platini exits stage right Ceferin enters the UEFA scene from the other side and becomes the seventh president of the governing body. Uefa and European clubs recently agreed changes to the Champions League that will heavily favour the big four leagues, but it has angered the European Professional Football Leagues (EPFL), who believe this will have a detrimental effect on the continent’s smaller leagues. The major change agreed upon last month was that Europe’s top four domestic leagues, England, Italy, Spain and Germany will be guaranteed four places each in the group stages of the Champions League from 2018-19. 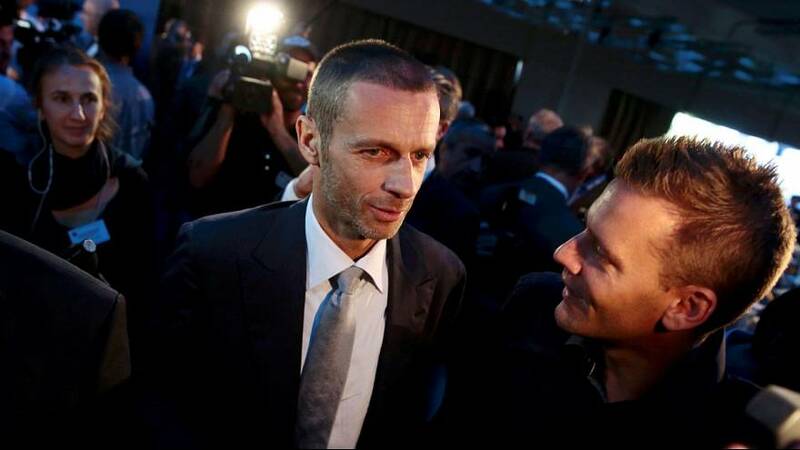 Ceferin said UEFA should show the clubs “we are the ones who are the governing body”.